Beyond Cannery Row, subpar seafood restaurants, and the fantastic but ever-mobbed Monterey Bay Aquarium, and the touristy hordes of Fisherman’s Wharf, there’s a Monterey that is equal parts battered and beautiful. Compared to the chichi world of Carmel and sleepy Pacific Grove, Monterey is the edgier sibling, showcasing just the right amount of grit, authenticity, and approachability. Whether you're seeking a classic and elegant piano lounge happy hour or a haunted restaurant from the 1800s, Monterey has your ticket. Here are 11 things to do that will show you the real Central Coast town. 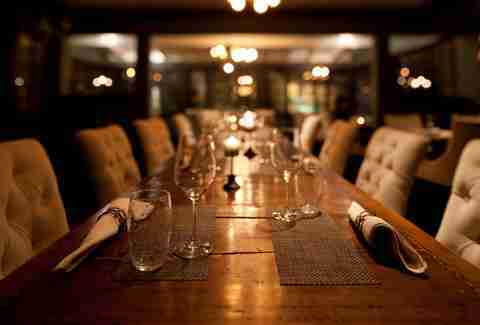 Since its inception in 2011 (though its history dates back to 1833), Restaurant 1833 has been a destination restaurant for its gorgeous 18th-century adobe setting alone, where you can feast in multiple rooms and linger under a massive oak tree on a fire pit-lined patio. Under Chef Mikey Adams, 1833 does whole-animal cooking (think wood-fired kid goat or whole suckling pig), nodding to local ingredients with dishes like Castroville artichoke fry bread. The space has an eldritch Old South meets California vibe, and for good reason: The house is purportedly haunted with a crazy, nearly 200-year-old history of deaths, suicides, and ghost sightings of the infamous, sketchy “doctor” who owned the place and was believed to be a murderer. Sip cautiously. Open since 1968, The Sardine Factory is one of the old-school steakhouses that beckon Cannery Row crowds in for a '70s-style night on the town. 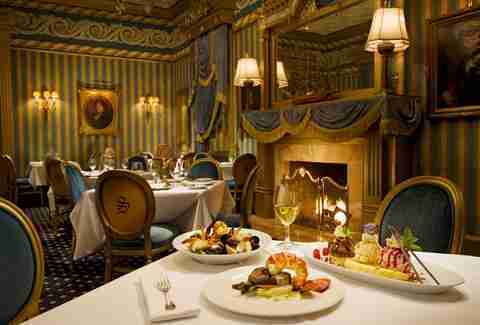 While there, don't miss its Conservatory and Wine Cellar. Drinking at the bar evokes the feeling of being a high roller... a few decades back. The main draw is the twice-nightly happy hour (from 5-6pm and 9:30-10:30pm). Sit by the roaring fireplace and sip a Harvey Wallbanger or a Grasshopper while a lounge singer “tickles the ivories,” moving deftly from Neil Diamond to Sinatra, with occasional dancing breaking out. Singing along loudly and off-key is highly encouraged. 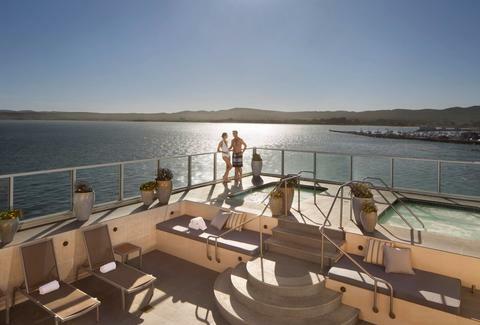 Monterey Plaza Hotel & Spa is situated on the coast right in Cannery Row (a short walk from the Aquarium), with oceanfront rooms jutting out over the sea. Luckily, anyone can make spa appointments at its Vista Blue Spa, one of the best around. 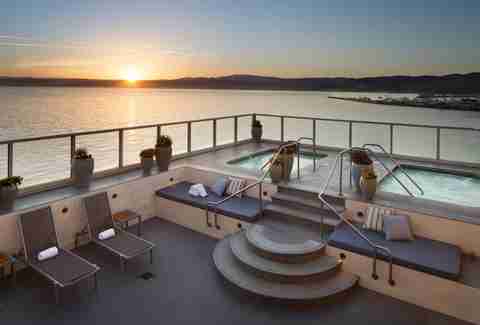 Yes, they’ve got some skilled masseuses (you can also get facials or body wraps), but it’s that striking rooftop with hot tubs gazing over the Pacific that feels like a Mediterranean escape. It’s open all day, making it ideal for lingering pre- or post-massage. You can find a number of local craft breweries in Monterey. Some are even centrally located Downtown, like Cannery Row Brewing Company or Peter B’s Brewpub behind Portola Hotel and Spa. 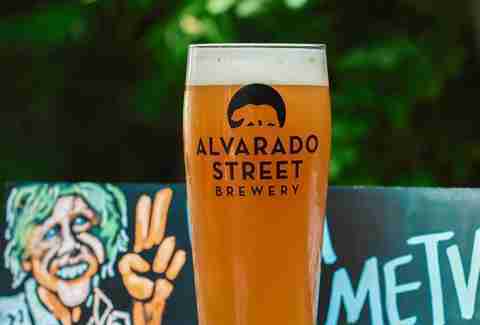 That said, Alvarado Street Brewery is the play here. Aside from the brewing operation, it’s got a grill and a beer garden as well as a brewery with tasting room in nearby Salinas. The menu is all about the bar food (think Vietnamese lamb burgers, brisket sandwiches, pork belly poutine with ASB beer gravy) and offers over 20 beers on draft. 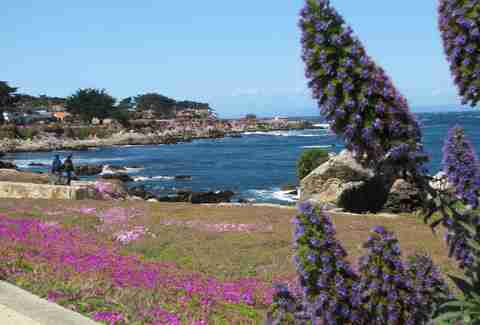 The coast from Monterey to Carmel is spectacularly rich with colorful flowers, cypress trees, moss, and craggy rocks just begging to be climbed on -- and the 29 mile Monterey Bay Coastal recreation trail is a perfect way to take it all in. But what about when you don't have a lot of time and can only venture as far as the tourists in Cannery Row? We’ll let you in on a secret: There’s a sheltered cove behind the Spindrift Inn, called McAbee Beach. Here you can feel the salt air on your face, wander through tide pools, and look for the many seals and otters that hover near the shore. Beyond the obvious National Steinbeck Center in Salinas, there is a more subtle way to follow in the writer’s footsteps. Tucked in Cannery Row is Pacific Biological Laboratories, a little lab founded in 1923 by Ed Ricketts and business partner Albert Galigher that sold preserved marine species to schools, museums, and research facilities. Here’s the literary tie: After a fire in 1936, Ricketts' good friend, John Steinbeck, bought half the company and helped rebuild it. A golden age followed where Ricketts used the lab as a gathering place for writers, artists, and musicians, including none other than Henry Miller, Joseph Campbell, and, of course, Steinbeck, who created a character named “Doc,” inspired by Ricketts, and immortalized the lab as “Western Biological Laboratory” in his novel Cannery Row. 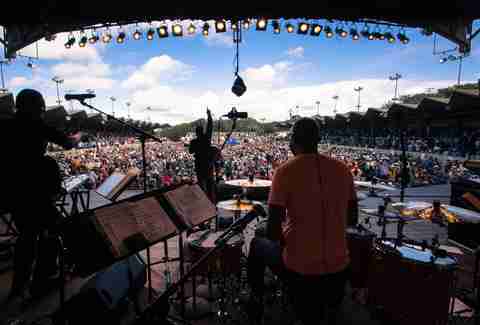 After Rickett’s death, the space carried on its arts heritage with a meeting in 1957 that led to a little event idea called the Monterey Jazz Festival. The lab has been left as it was back in those glory days, and there are free public tours about once a month (or private group tours). This is no Smuggler's Cove like you'd find in SF or a tiki haven like Portland's Hale Pele, but Hula’s Island Grill is a beloved Monterey bar and restaurant open since 1998. Here you'll find impossibly sweet and colorful drinks topped with neon maraschino cherries and a divey atmosphere set off a busy street. It’s all part of the charm. You’ll find locals day-drinking from tiki mugs and volcano bowls, and eating platters of poké, Kona-style chicken wings, and Cubano pork tacos. If there’s a quirky side to Monterey, this park named after the beloved comic strip character is it. The Dennis the Menace playground has been part of El Estero Park since 1956, surrounded by a lake with the Pacific Ocean just beyond. The comic strip’s creator, Hank Ketcham, lived nearby in Carmel and helped plan the park, from the suspension bridge to hedge maze. There’s even a real 1924 Southern Pacific steam engine, and of course, a statue of the menace himself. 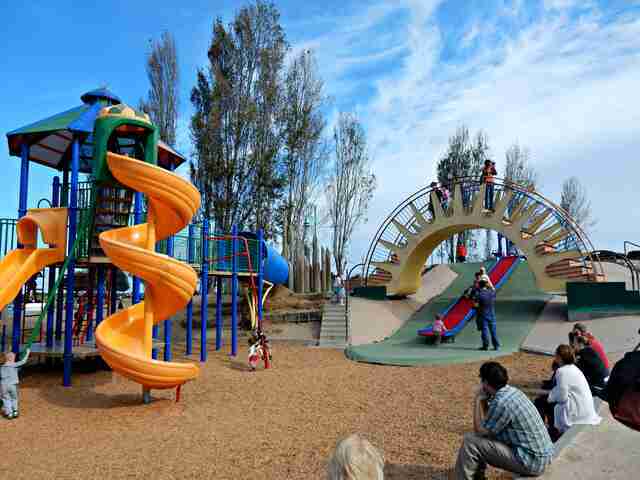 If you want to avoid the onslaught of kids, El Estero Park offers plenty of other things to do, including a skate park designed by local skateboarders, and fishing piers where you can cast a line in the lake teeming with rainbow trout, Sacramento perch, and carp. Parker-Lusseau bakeries are so popular, they have three Monterey locations: one with a charming front porch on Hartnell Street in an 1800s adobe house, a Ryan Ranch shop, and the original Munras Avenue store. Pastry chefs Anne Parker Johnson and Yann Lusseau hail from California and France respectively, bringing classic French pastries (kouign-amanns, cannelé, etc. ), tarts, macarons, breads, and chocolates to Monterey. They’re known for their creative cakes and holiday specialties like variations on a Bûche de Noël log at Christmas -- just be sure to order ahead. Monterey has its share of historic landmarks and sights to visit, from the old US Customs House to Colton Hall Museum. 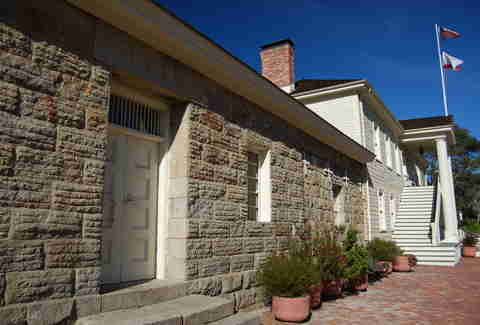 Situated next to the latter is a little stone building that is easy to overlook: the Old Monterey Jail, which in its 100 years in operation, never had a single jailbreak. An active penitentiary from 1854 until it officially closed in 1959, it’s built of solid granite with almost no wood. The windows are covered in perforated iron plates, so escaping was virtually impossible. You can tour the jail now with the added (read: creepy) bonus of original conditions and recreated scenes in each cell. Virginia Miller has been a food and drink writer/editor (Time Out, Liquor.com, Zagat, Guardian, Table8, Distiller Magazine) for years, obsessively hitting up over 600 bars and restaurants a year around the world. Follow her @ThePerfectSpot.